There are lots of different reasons why the link on this page is important. Places at our Nursery are allocated by the school. We are always looking to welcome new families to the school, so please do get in touch to find out if we have space for your child. Children have to be three and a half for the September intake in order qualify for a place in Nursery. 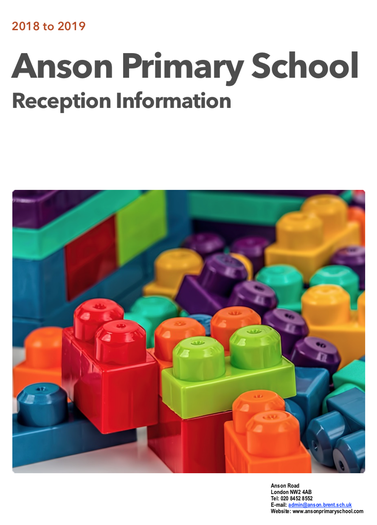 If you would like to apply for a place in the Anson Nursery, you will be able to download the form on this page when it becomes available. Packs will also available from the school office. You can pop in and pick up a pack at any time. We host visits for prospective parents who want to take a look around the school. You should be aware that if your child is not in the catchment area of the school it is highly unlikely you will get a place at the school unless you qualify under the other criteria on the Brent website. Brent Council decide the admission criteria that are used to determine who has priority for places at the school. Download the latest information on our school day for Reception aged children below. It may be that your child is currently in Year 5 of primary school. You need to be thinking about where you want your child to go for their secondary education. This process must be completed by the end of the October when your child enters Year 6. There is a great deal of information about secondary schools on the Brent website, but you can also look at schools in other boroughs. All the latest admissions information is available on the Brent website. You can download admission guides and find links to the application process.